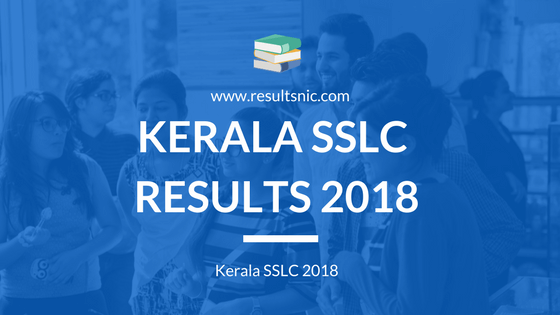 Kerala SSLC Result 2018: Kerala Pareekhabhavan will release Kerala SSLC Results 2018 on 3rd May 2018. The SSLC Result will be available on all the official website and Saphalam Android app after the official declaration by the Educational Minister Prof. C. Raveendranath. The SSLC Results are expected on 5th May 2018. The Valuation of SSLC Answers papers are over and tabulation and cross verification of SSLC Results are going on. The education department of Kerala will release the SSLC Results soon. Students from Kerala state who appeared for SSLC Examination 2018 can check their results using the Hall ticket number on the official websites. Kerala SSLC Result 2018 will be available on the website given below. The details of Kerala SSLC Examination are given below. 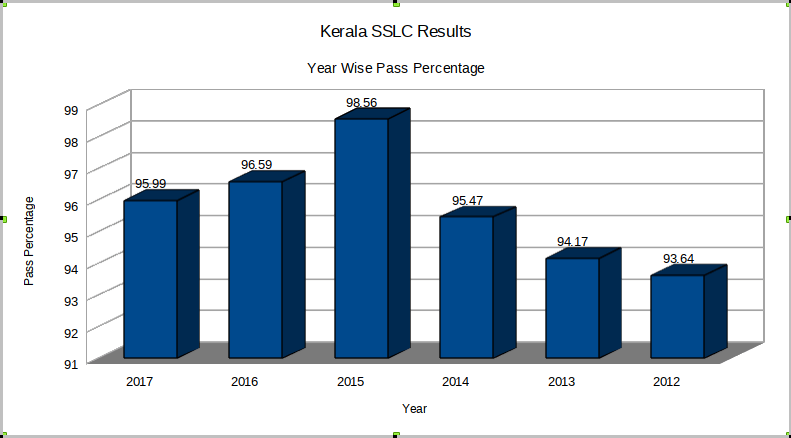 Below table shows the pass percentage of Kerala SSLC examination in past years. The percentage is almost steady near 95%. Also, Kerala Education department is conducting a SAY (Save A Year) Examination on June-July after the results. So students can reappear on this exam and can clear the SSLC examination without any loss of a year in the career. The chart below shows the pass percentage analysis of the past years. The average is nearly 95% and is steady in the past years. In 2018 the pass percentage will be around 95%. It is expected that there will be an increase in the number of schools which got a 100% pass of students. Kerala Govt. executed special programmes to prepare students for SSLC examination in 2018. Special care was given to students those get very weak in different subjects like English, Maths etc. Students can get their result and Mark sheet after the official declaration of Results by Kerala Govt. education dept. IT at School project and KITES is handling the result processing and maintenance of the SSLC Result website. The process of preparation of results are taken with maximum care and it was over now. Students will get Kerala SSLC Result 2018 soon. We will update the latest info here.